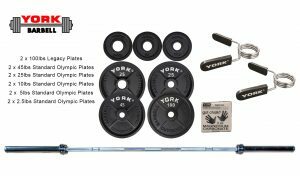 York’s Gold Package is the standard for your training needs. 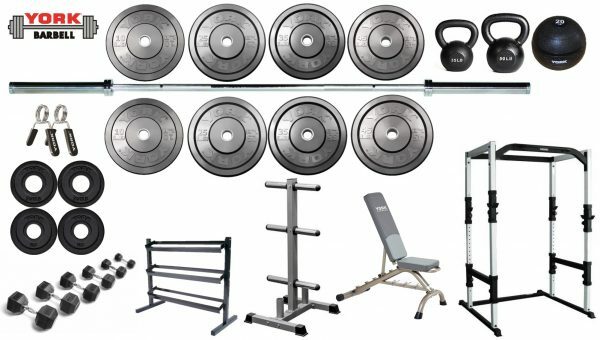 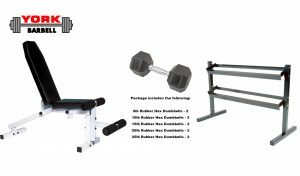 This light commercial package is ideal for the seasoned lifter who wants the ‘one-stop-shop’ in functionality and performance from their home gym equipment or fitness studio. 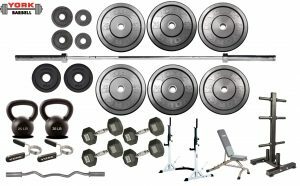 Solid Rubber Bumper Plates: (2) 10 lb, (2) 25 lb, (2) 35 lb, (2) 45 lb.